The highly anticipated restaurant, Zen Culinary is now open is North Scottsdale. Zen Culinary will offer “affordable lunch specials by day and elegant fine dining by night.” Their aim is to create “a fresh new restaurant concept crafting authentic Asian fare made with predominately locally sourced organic ingredients”. Chef Daniel Chong has come all the way from New York to lead the culinary team and help create Zen Culinary’s eclectic menu. 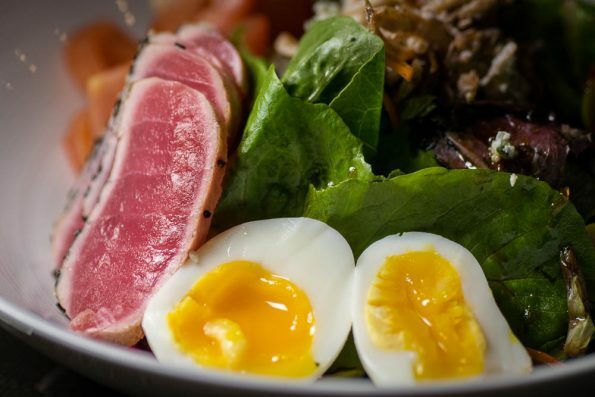 Tuna Tataki Nicoise (Sesame seared tuna, 6 minute egg, castevetrano olives, tomato, long beans, potatoes, crispy noodles, red onion, tataki dressing)- This salad is a cross between a tuna tataki salad and a traditional nicoise. These two salads seemingly only have the tuna in common, but somehow it magically works. The 6 minute egg adds a fun flair to this delicious salad. 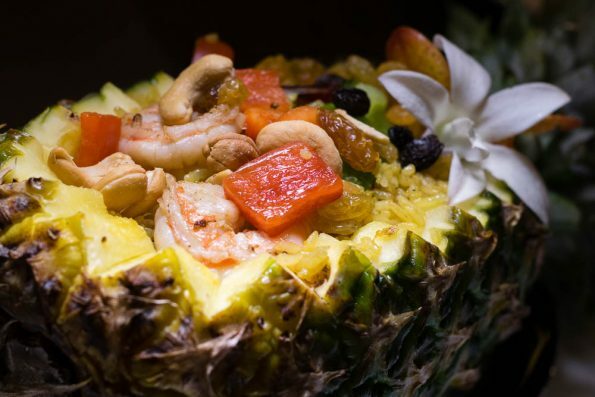 Pineapple Fried Rice (Jasmine rice, pineapple, yellow curry, golden raisins, cashews, shrimp)- We love a good fried rice. This rice was sweeter than a traditional fried rice and the addition of yellow curry really packed a flavorful punch. The shrimp served on it were huge, well seasoned, and perfectly cooked. 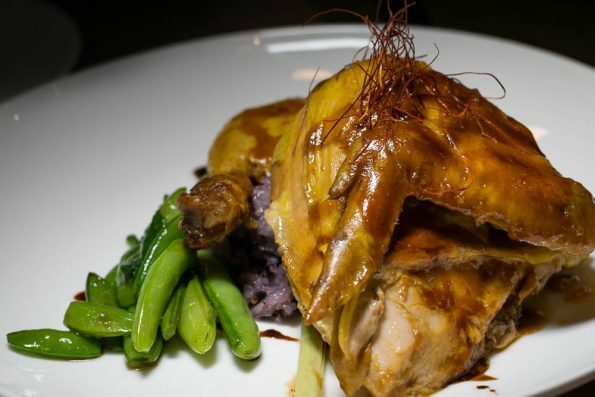 Organic Lemongrass Chicken (Lemongrass grilled chicken breast, sugar snap peas, purple sticky rice, sesame, scallions)- A great chicken entree is a must have on any menu. This fits that bill perfectly. The sauce on the chicken itself is a great blend of sweet and salty. However, the purple sticky rice almost steals the show. It is flavored with coconut and is absolutely fantastic! In addition to the above mentioned, we tried several other menu items and all were very tasty (especially the sushi). We can’t wait to see what the future holds for this up and coming restaurant. Have you been to Zen Culinary yet? What did you love? We want to know! Use the hash tag #GeekEats or leave a comment below!